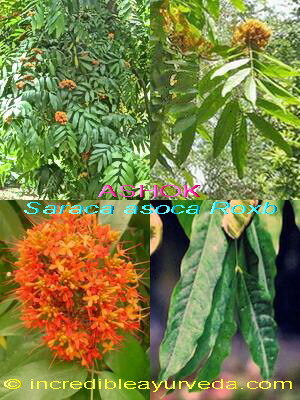 Medicinal Properties:The bark, seeds and flowers of Ashok are used in Ayurvedic formulations. It is used as a blood purifier, uterine tonic and is been indicated in menstrual irregularities. Ashok happens to be a uterine stimulant and increases uterine contractions. It also stimulates the ovarian tissue. In Ayurvedic it is used in formulations for controlling leucorrhoea and other menstrual irregularities and irregular activity of ovaries. It is a known herb to help female health.